Tauranga's favourite ethnic restaurant Great Spice Tandoori Indian Restaurant & Bar in Otumoetai delivers the ideal catering choice for your next special event. Planning a big event such as a wedding or birthday? 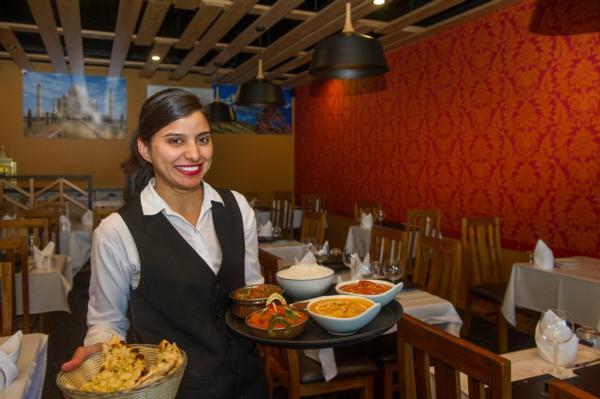 Great Spice Tandoori Indian Restaurant & Bar in Tauranga have got you covered with their first-class catering service. Add a little spice to your next corporate meeting or functions, wedding, birthday, special occasion, events, Christmas functions and more with Great Spice Tandoori Indian Restaurant & Bar offering an excellent range of catering options. “Featuring authentic Indian cuisine we always ensure that our food is fresh and our service is great. That’s why we are the perfect choice to cater your special occasion,” says Great Spice owner Khem Aryal. When it comes to event catering there is definitely not a ‘one size fits all’ option especially when you take into account different tastes and dietary requirements. “At Great Spice Tandoori Indian Restaurant & Bar we take pride in providing our customers with a delicious menu that is flexible and that features fresh ingredients and tasty food,” adds Khem. The professional team at the best Indian Restaurant in Tauranga are constantly offering new and innovative dishes on their menu as they like to give their customers fresh flavours. “At Great Spice Tandoori Indian Restaurant & Bar we are passionate about our food and providing top quality customer service,” says comments Khem. If you want to try them out before you commit, Great Spice Tandoori Indian Restaurant & Bar is serving up the wonderful flavours of India at their Bureta Road premises for lunch, dinner or takeaway. It doesn’t matter if your budget is big or small as the top Indian Restaurant in Tauranga, Great Spice Tandoori Indian Restaurant & Bar can help you create a delicious menu that caters to your event requirements. So for your next event contact Great Spice Tandoori Indian Restaurant & Bar. Great Spice Tandoori Indian Restaurant & Bar is an exquisite ethnic restaurant located at 4/44 Bureta Road in Otumoetai, Tauranga. The menu offers a wide range of authentic Indian specialities to please everyone’s taste buds. At Great Spice, you can receive an excellent fine dining experience or order online and get your delicious food delivered right to your door. We look forward to serving you.